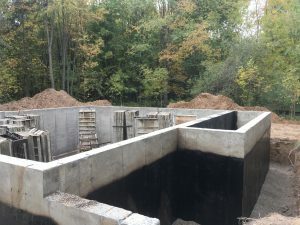 Don't let leaks ruin your foundation, Contact the waterproofing experts at Rock Foundations based in Fenton, MI! We offer a variety of waterproofing systems. Please give us a call. We’ll ask about your existing foundation and provide you with an explanation of your foundation needs, whether it’s new construction or an existing structure. We offer a number of waterproofing and dampproofing products . They are essential for keeping your foundation lasting through the generations. Since we feel it is important to support our local economy, we waterproof with products from companies based in Michigan such as Dewitt. Our professional installers are certified and also spray with Tremco products. We are happy to install protection board and insulating products to your specifications. Application of these products is best done on new projects, but may be warranted on an existing structure. Perhaps that musty smell is telling you your crawl space needs attention. Let us take a look at your current situation and help you find the best solution to make your home a castle again. 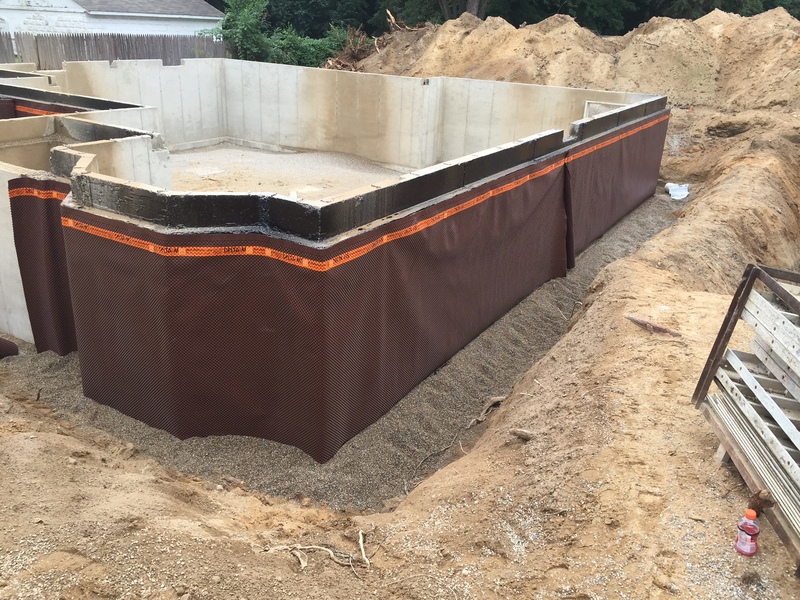 Below-grade waterproofing prevents water intrusion and is critical to avoiding costly problems in the future. 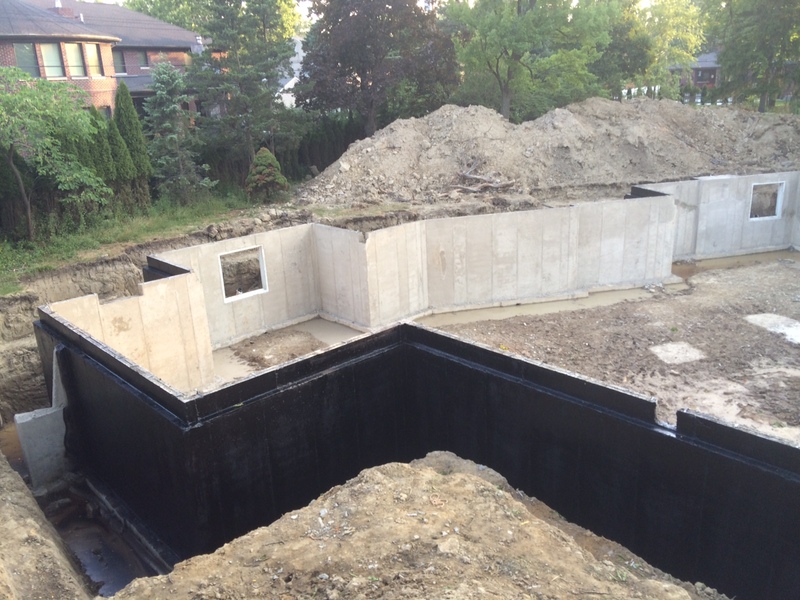 Our waterproofing is sprayed onto the outside wall of our poured foundations. It resists acid and alkali and is especially designed to protect after earth filling. 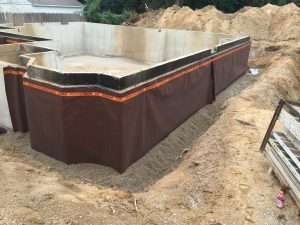 Because there are no seams in poured walls, the waterproofing literally creates a membrane around your foundation to shield the interior from dampness. This step is crucial to delivering a finished product that stands the test of time. That means a healthy, dry, comfortable living space to you. We are happy to evaluate your new or existing structure for waterproofing and dampproofing needs. Just contact us so we can discuss how we can you keep you dry when all around you is wet.